Hello everyone! I hope you all had a great weekend. 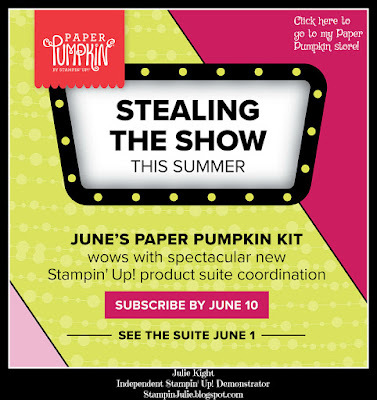 It's June, and that means that Stampin' Up! 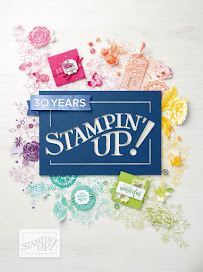 has released a new Annual catalog and it is AMAZING! I have an order coming in a couple days with a bunch of new product and I can't wait. Until then I have a new card for you from the pre-release that Stampin' Up! had last month during the Share What You Love Bundle sales. This Suite is so beautiful! 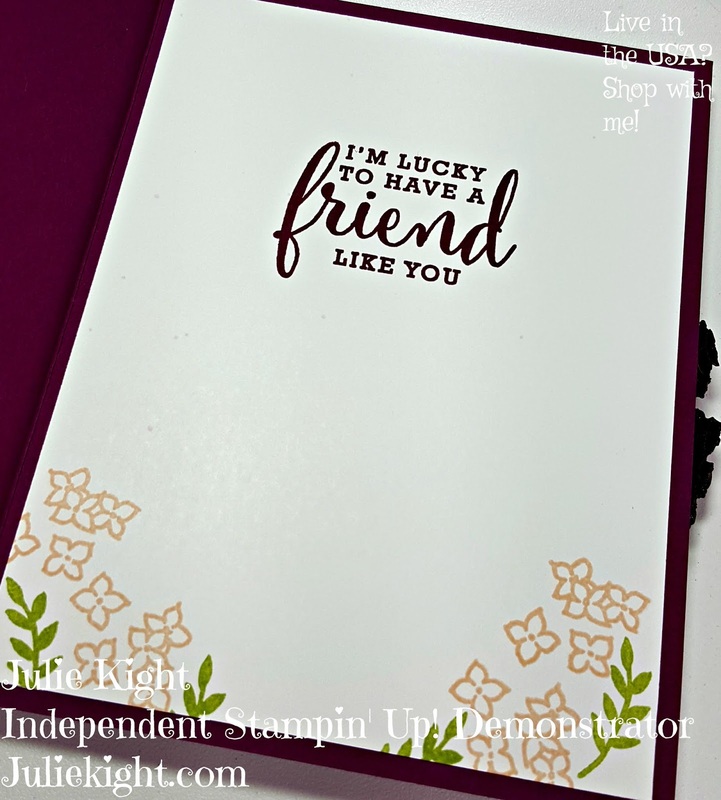 The DSP (Designer Series Paper) is a little more money then the normal DSP usually is, but you are getting twice as much paper with 4 designs having a pearlized finish, and it is such a great weight. 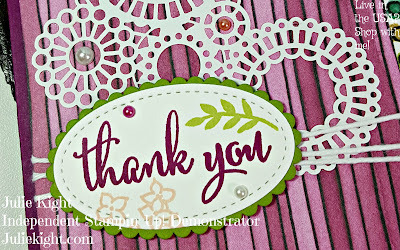 And the new Delightfully Detailed Laser-cut Paper is to die for!!! I am so in love with it. 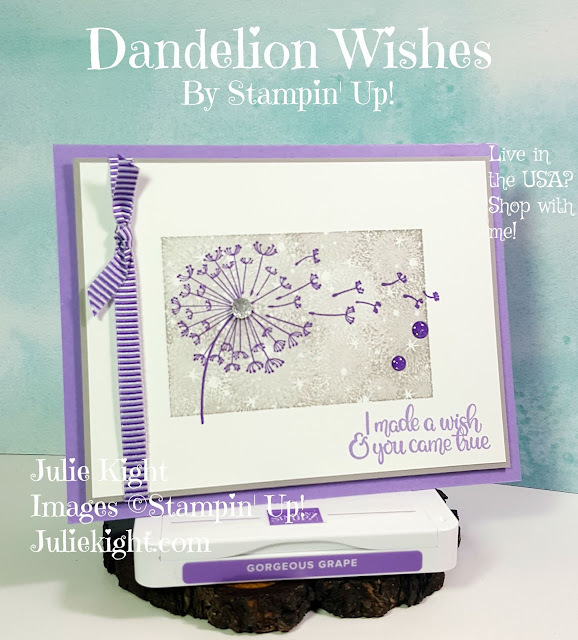 One side is Whisper White and the other is Very Vanilla, and with the Sponge Daubers, or Sponge Brayers you could make it any color. Imagine the possibilities!!! 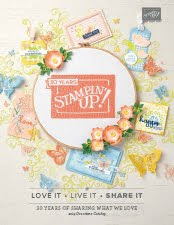 The stamp set Love What You Do is so beautiful as well. I have always loved the photopolymer stamps because it makes it so much easier to see where you want the stamp to go. On the inside I simply stamped a sentiment, a few leaves, and flowers. It is always best to put a piece of light cardstock on the inside of darker cards to make it easier to write on. Here are the items I used to make my card. Just click on any item to go to my store.